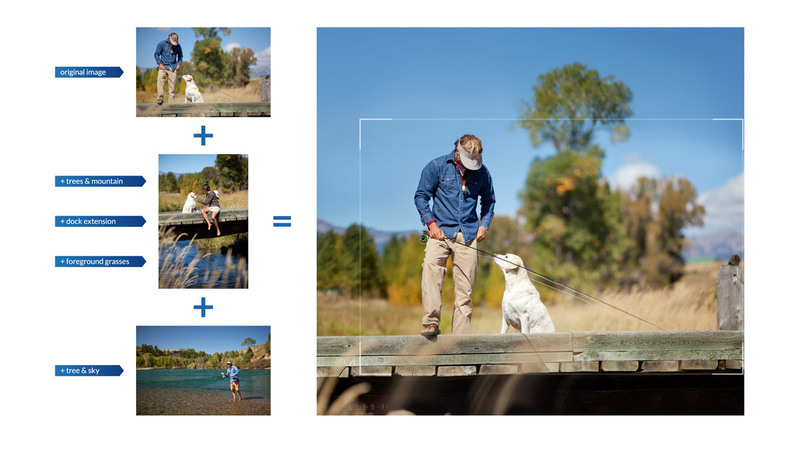 Compositing - multi-shot image compositing for this key image allowed for a significantly broader range of use throughout the campaign. Sometimes the perfect shot - isn't the perfect crop. 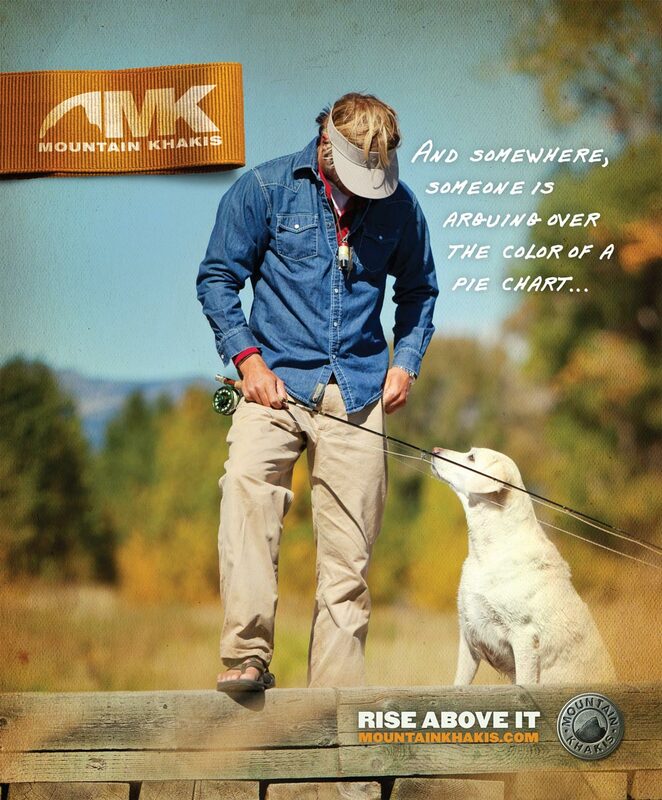 BRAND EVOLUTION / DESIGN / PRINT / WEB PROMOTION – Brand evolution, styling and core identity marks for Mountain Khakis line of outdoor lifestyle apparel. Outdoor magazines are filled cover to cover with beautiful outdoor photography. MK’s photography was exceptionally beautiful but their imagery blended in like an extension of the editorial. 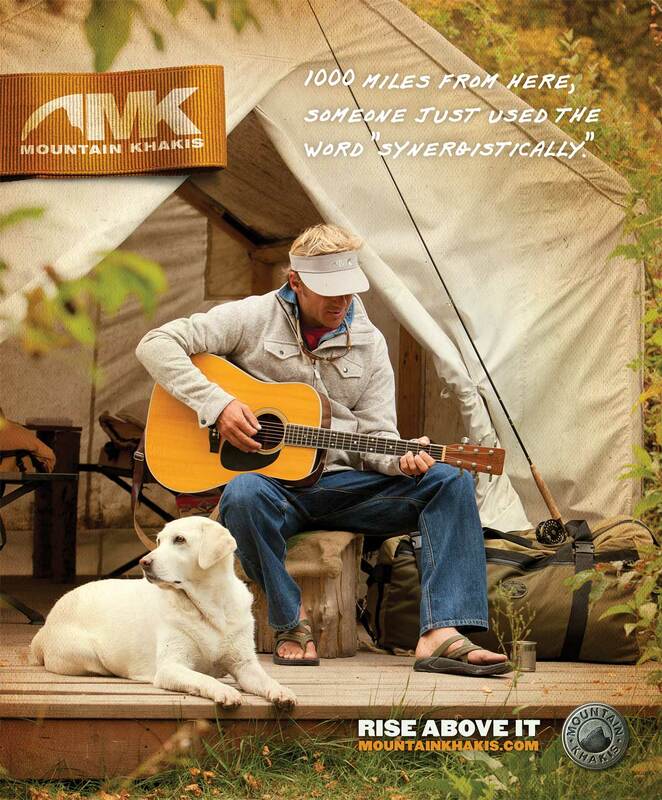 MK needed a holistic branded style that would set them apart and rise above the buena-vista overload. The styling has a rugged laid back feel with a set of marks that resonate well with their audience. We crafted a signature look, painting volumes of light, warmth and texture into each image. The final result stays true to the authentic spirit of their clothing. We designed for every touch point of the campaign from outdoor, offroad, climbing and adventure magazines as well as trade show, online, social media and Flash banner ads. 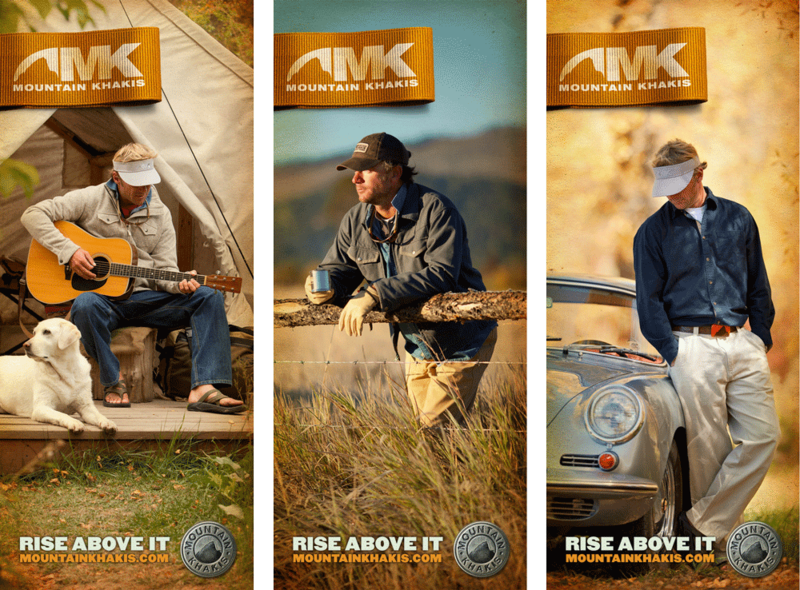 MK’s “Rise Above It” campaign was successful well beyond growth expectations bringing the leading outdoor brand to a significantly wider audience. It is a rewarding experience to work for such a great group of folks who authentically live out their brand.